A lovely mild evening tonight, some nice nets of fish considering it was only a 3.5hr match. 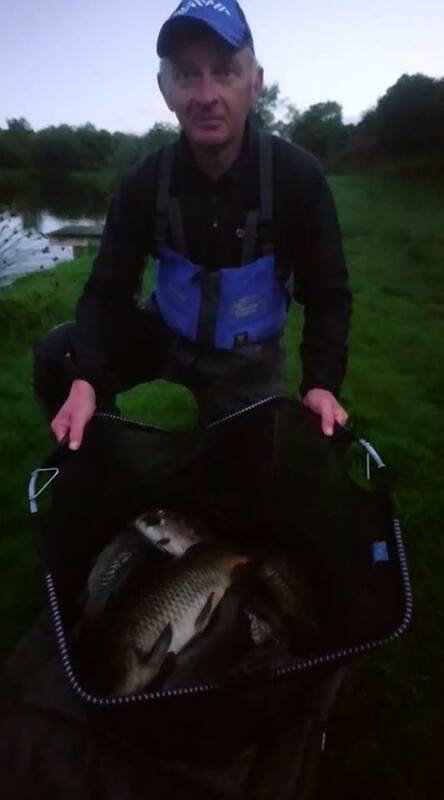 Mark Clow fished the feeder rod all night to weigh in 47lbs 8oz, of carp, winning overall. 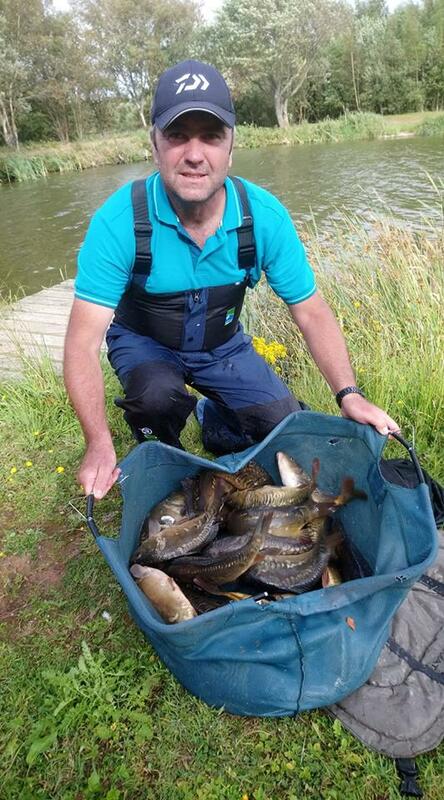 Barry Young finished second with 44lbs, a mix of chub and F1 carp on pole, and 4 small stockie carp on method feeder. Matt Baxter weighed in 42lbs, all caught on paste/pole, showing just how close it was..!